Winners will stand a chance to participate in the international round that will be held in Kenya. 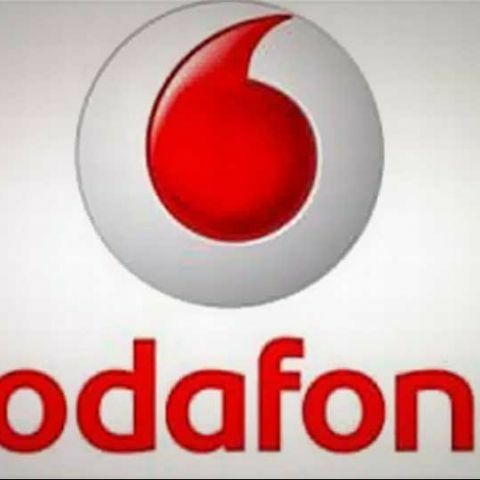 Vodafone India has announced AppStar, an annual developer contest to encourage local adoption of mobile internet by focusing on the developer ecosystem. The operator says the move is aimed at providing a platform for all mobile app developers to showcase their talent to a global audience. Vodafone says the AppStar contest will benefit the developer community as well as bring to the customers many unique local apps that generally get lost in the open market app stores. These apps will help the customer discover the many uses of mobile internet apart from plain-vanilla Internet browsing. 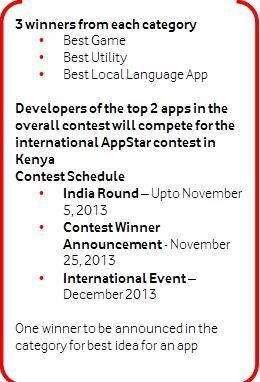 The Vodafone AppStar contest will be held at two levels - India and international. For India specific contest, there are three categories in which one can participate – Best Game, Best Utility, Best Local Language App. The contest also aims to encourage apps which work in local conditions (like feature phones, local languages, etc). The winners of India round will stand a chance to participate in the international round that will be held in Kenya. The contest is open for anyone who has the capability to develop a cool app in any of the listed platforms – BlackBerry, Android, J2ME, Windows Phone, iOS. Vodafone AppStar provides an open platform to all developers (including an established company, student, hobbyists or a freelancer). To participate in the contest, one will have to submit this idea on the contest website. The winner for this category will be decided based on the number of votes that the particular idea will generate.